The only way to truly understand the real essence of the Tuscan wine is by travelling among the beautiful vineyards. This wine holiday combines luxury hotels with superb wines an intense and exciting journey surrounded by the most beautiful Tuscan spots. Views of the Tuscan landscapes from a wine resort near Montalcino. Wine roads: Chianti Classico, Nobile di Montepulciano - Orcia Doc - Brunello di Montalcino. Selected wine cellars for tours and wine tasting. Upon request you can personalise your stay. Please ask us if you have special requests. Wine tasting upon arrival of 3 wines produced in the estate included in this package. Here, from the enchanting vineyards, starts your luxury journey towards the unique Tuscan wine roads! Wine cellar tour in the most beautiful winery of the Chianti region. Tasting of 3 local wines. After the wine tasting follow the Chianti Classic wine road, you will cross the Castle Roads where you can stop and admire ancient castles and taste Chianti classic wine in the many wine cellars that you can find on the road. Finally at you accommodation, relax and enjoy the beautiful location. Siena: visit the town centre of this beautiful city (World heritage site) with its unique Piazza del Campo, the “shell” shape square where twice a year is hosted the Palio (horse race famous in the world). Spend your day discovering the little medieval streets and the enchanting views that the city offers. 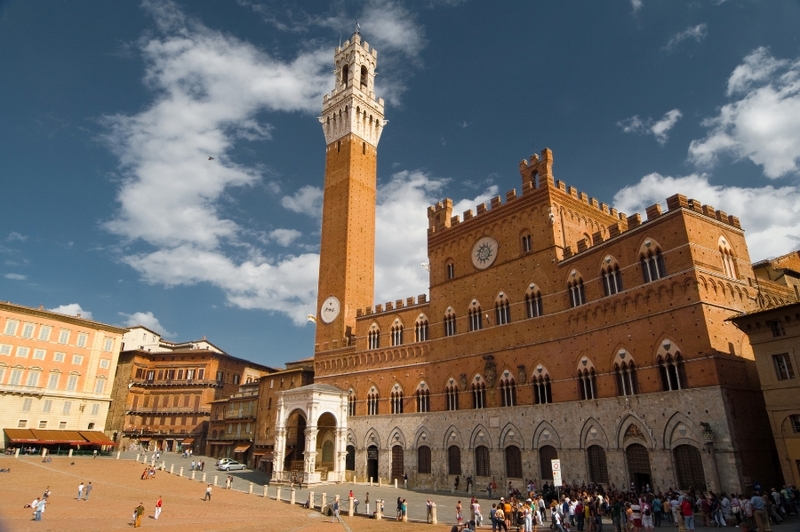 Siena is a jewel to not be missed. Fancy a lunch in a special restaurant with truffle-based recipes and paired wines to taste? Accommodation: 5-star Luxury Castle - wine hotel near Montalcino. Classic room. Stay 3 nights. On the Road through the Nobile di Montepulciano Vineyards. Visit Montepulciano and discover this amazing village, the heart of the Nobile di Montepulciano wine production. Here, you will discover both Etruscan and Roman historical remains visible in the main streets and you can visit the authentic wine cellars where to taste the Nobile and the Rosso of Montepulciano wines. Following the Nobile wine road you'll find World Heritage Site places to visit! Discover the Orcia Valley (World Heritage Site) and the delicious Orcia wine. We have prepared for you a fantastic discovery in the most important Orcia DOC wine cellar: Orcia DOC wine cellar tour and wine tasting included in this package. What we have in mind for you? A special picnic overlooking the most beautiful landscapes and having a taste of delicious regional products of cheese, salami and wine! Tale the day to explore the roads surroundings Montalcino and stop in some of the many wine cellars along the road. We will suggest our favourite routes among tiny hill top villages and wine cellars. On the way to the airport make sure you can have one last glass of Chianti classic wine before to flight back to reality. Prices shown are calculated on the basis of 2 people travelling and sharing the room, VAT and fees included. From where are you contacting us?